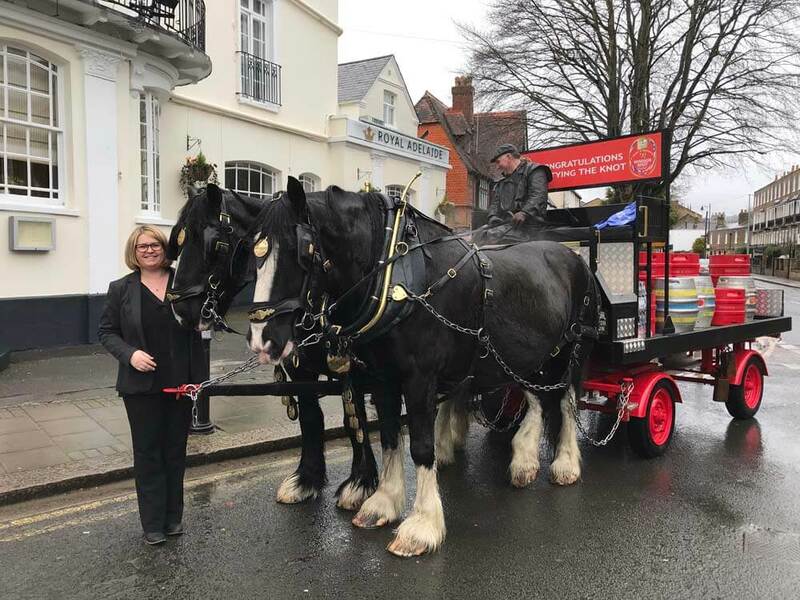 The Royal Adelaide Hotel in Windsor were excited to receive their first delivery of Harry and Meghan’s WINDSOR KNOT, the pale ale brewed by the Windsor and Eton brewery to celebrate their forthcoming. Despite the less than Spring like weather, the delivery was made in style by Roger and Major, 2 fabulous shire horses. They were recreating the route that Harry and Meghan will take on their big day. Pictured is General Manager Lorraine Miller taking the delivery. The beer is now on sale at the hotel so drop by and taste a drop.